As a custom shower door installer near Orlando, Dixie Shower Doors knows that your experience with our business is what gives us the opportunity to expand and grow. We are proud of the glass shower doors that we offer and we know that we can give you a high-quality product, but we are also aware that entering into business with a client is a partnership and we aim to serve our clients with that mentality. If you are interested in having glass shower doors installed in your home, contact us at Dixie Shower Doors or if you have worked with us before, consider leaving us a review. We are always honored to work with each of our clients and it is humbling to hear when they walk away satisfied. Reviews help us understand what it is about our business that is keeping our clients coming back and we are always seeking to learn more about people’s experiences with our staff and with our products. Even if what you have to say is a simple “Great job!” we take that to heart as a testament of our commitment to your satisfaction. If you have worked with us in the past, take a moment to leave us a review and speak honestly about your experience. We would greatly appreciate your time and effort. 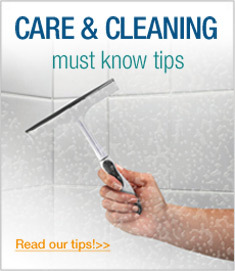 Reviews are critical for all businesses, so to say that they help only glass shower doors installers would be entirely untrue. Many people in our modern age rely on reviews in order to make decisions about the businesses they patron and much of the businesses’ reputations now depend upon the quality—and the quantity—of the reviews that they receive. They are relevant not just for consumers but for the business improvement as well. Reviews do more for us than simply reaffirm all that we do well. They also tell us where we have room for improvement and what we need to address. If there is something wrong with the business or the product, your reviews let us know exactly what it is so that we can make sure that your next experience with us is even more positive. We know that there is always room for improvement and we strive to give ourselves the room to grow so that we can stay improving. We have been very fortunate to have clients who have been very satisfied with their custom shower door installations and have left us some kind words about their experiences. Take a moment to read them and see what people have to say about our services. 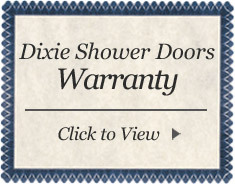 Dixie Shower Doors has a convenient location near Orlando. If you are interested in getting new shower doors and you would like to see what we could do for your bathroom shower, contact us today to schedule a consultation or visit our gallery page to see some projects we have worked on in the past.